The bride’s wedding gown is usually the most talked about aspect at most weddings. but what about the groom’s attire? He also deserves to be in the spotlight on his big day! 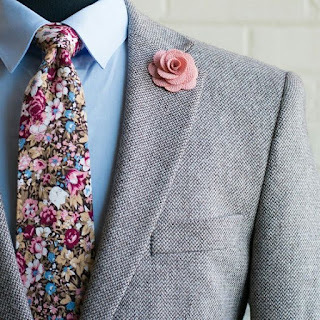 Just like every detail for the wedding, grooms have to think about the design, colour and style of their outfit. It is more than just a matter of “putting on a suit”. See below for some expert tips, along with a little taste of the new trends we will see in 2018! For an elegant and luxury wedding!! This past year, we have been seeing a lot of navy blue and lighter gray shades in groom’s suits. For 2018, black and dark gray suits will be in, with a pop of burgundy, which will remain trendy. Velvet piping seen on cuffs and collars will give a sense of modernity. Silk fabrics will also be very in, as silk adds more elegance and charm to the overall look. 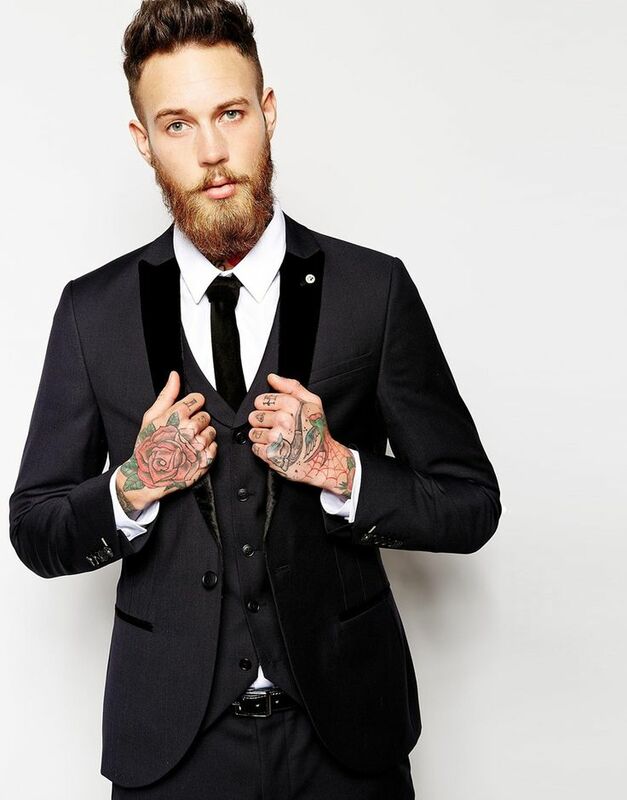 With the look below, we can guarantee you will stand out in a sea of wedding Instagram photos. For a rustic theme wedding!! Tweed is back in the spotlight for the remainder of 2017, and will remaining popular into the cold months of 2018. Tweed is the perfect choice to match with a rustic or vintage style wedding. With the perfect cuts and designs, tweed suits do not have to look like they belong in your grandfather's closet! 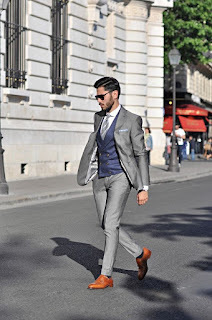 The Three Pieces suit is a classic!! 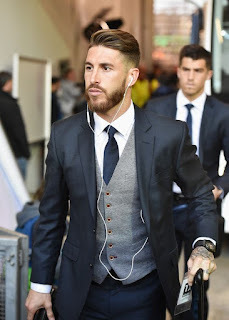 The three-piece suit will never go out of fashion. 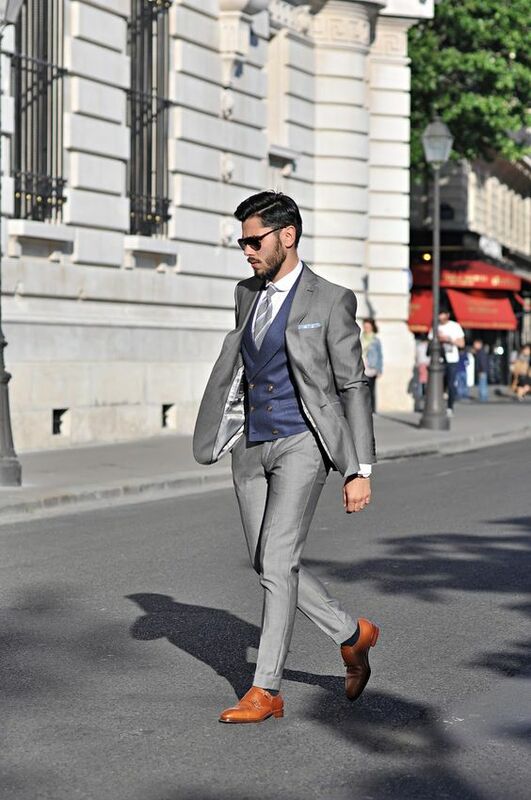 Exuding elegance and class, the three-piece need not be frowned upon as ‘boring’. Grooms have the option to mix and match colours and textures, giving different styles and looks to their outfits.